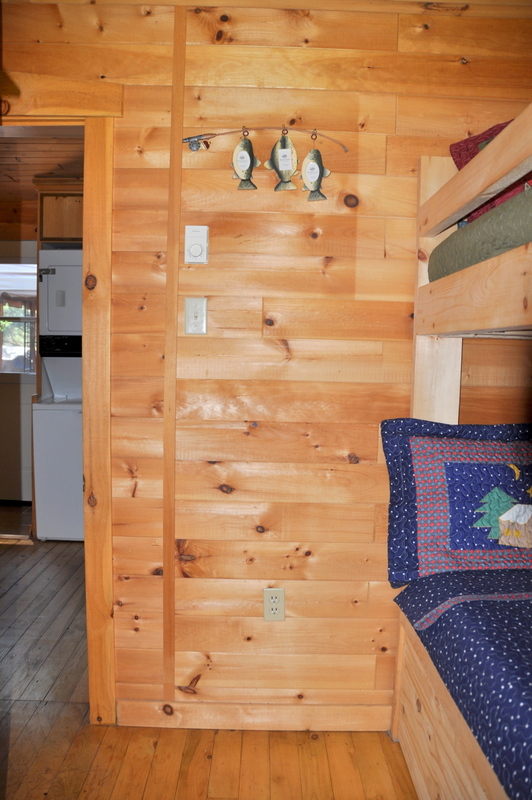 Welcome to this perfect and affordable small family or couple oasis! 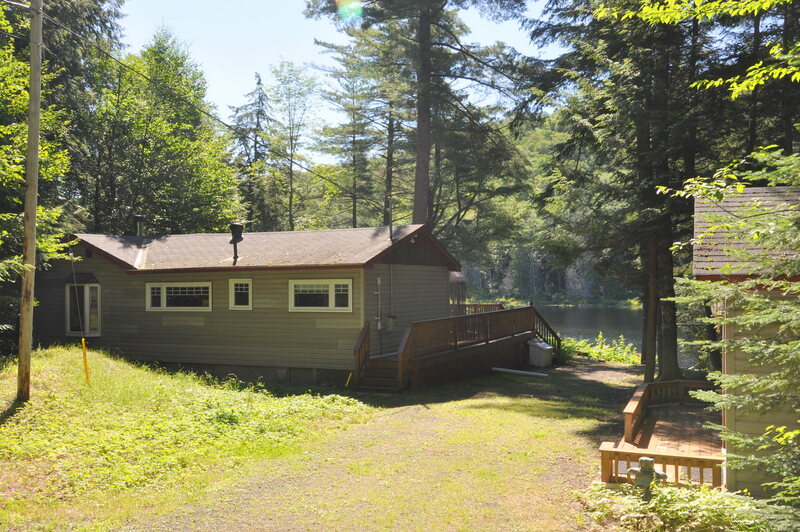 Nestled on an acre of land, with only one other cottage on the lake, it provides great privacy and a definite feeling of solitude. 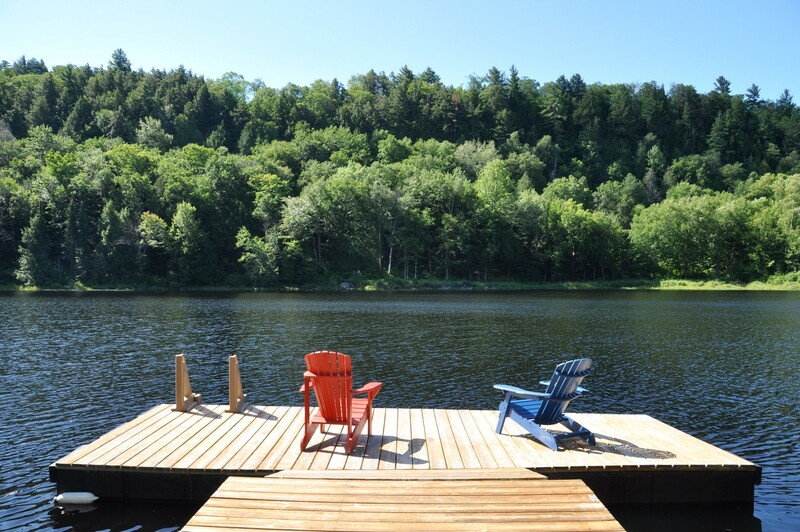 You also have the benefit of being on a very small land-locked non-motorized lake for peace and quiet but just across the road there is a boat launch to take you out onto the large open waters of Otter Lake. 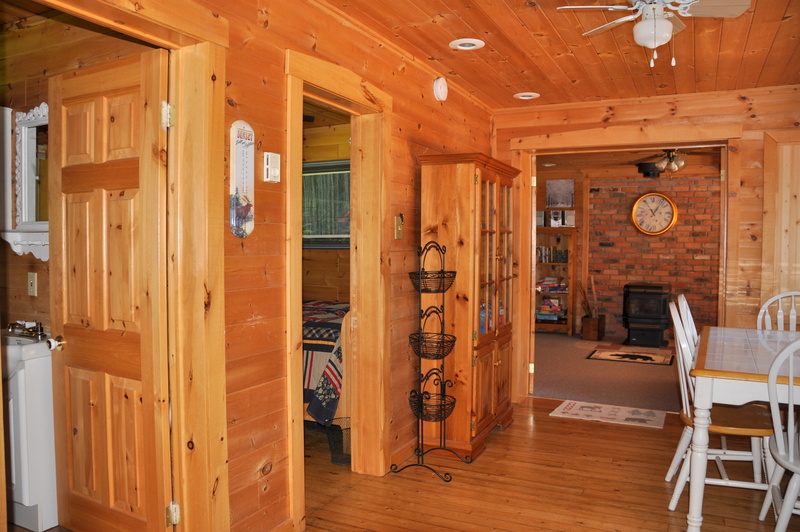 This cozy 1,050 sq. 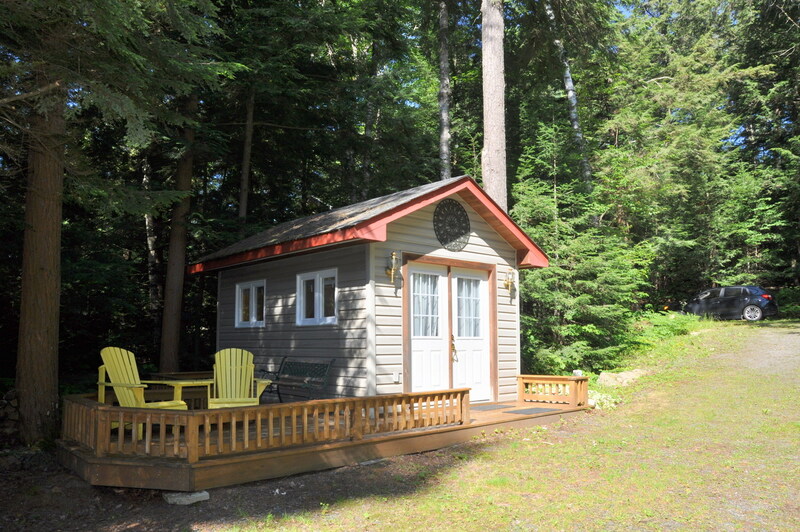 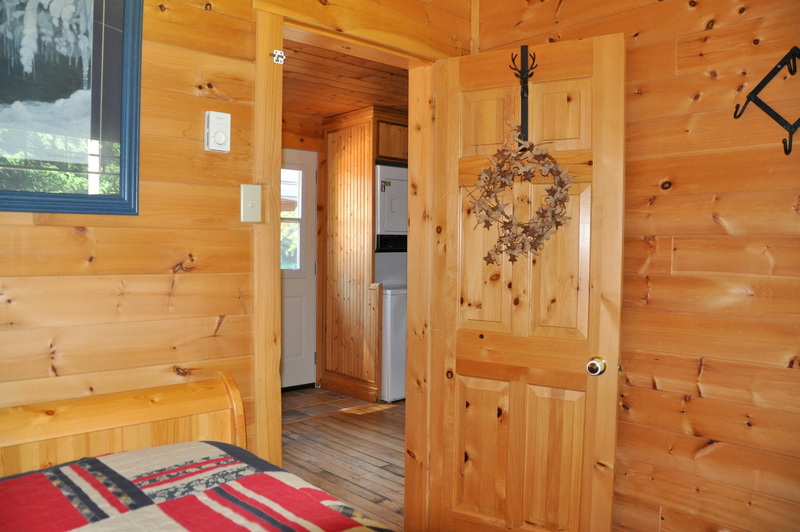 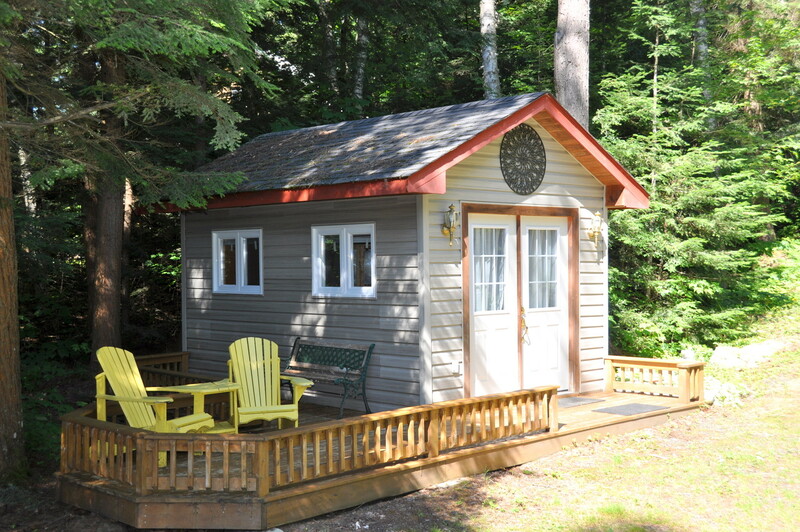 ft., 2 bedroom cottage and Bunkie has all that you could ask for in “a cabin in the woods” northern Ontario cottage experience! 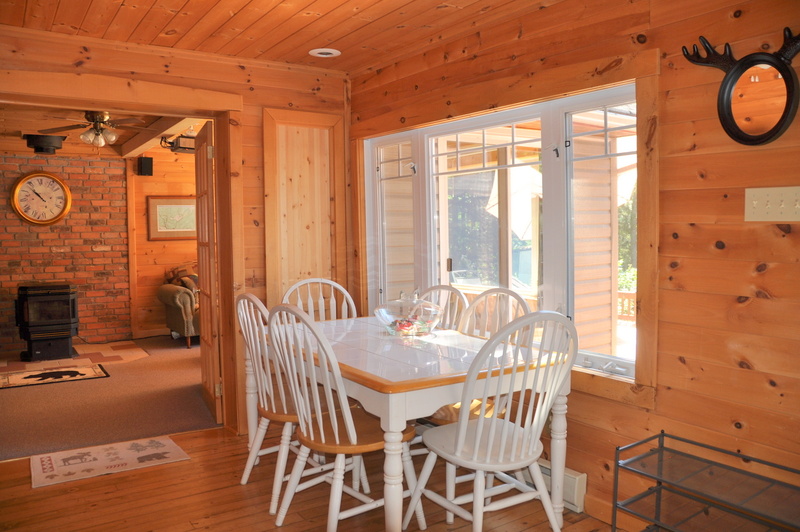 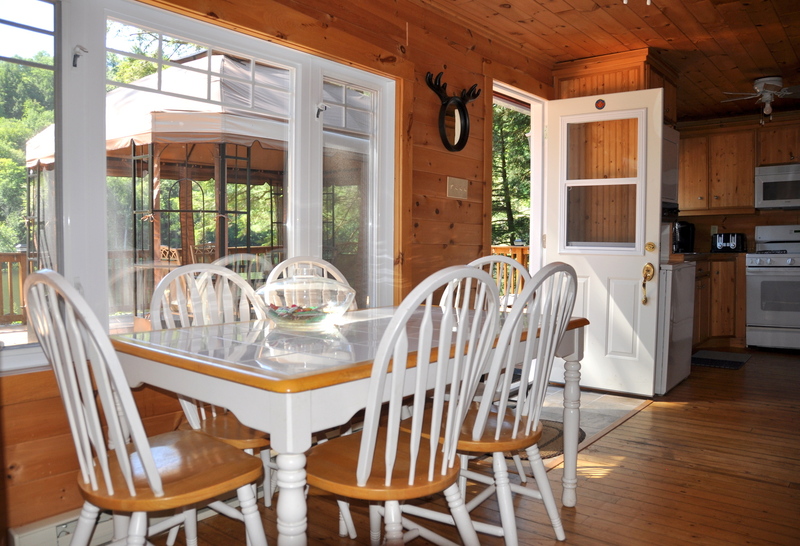 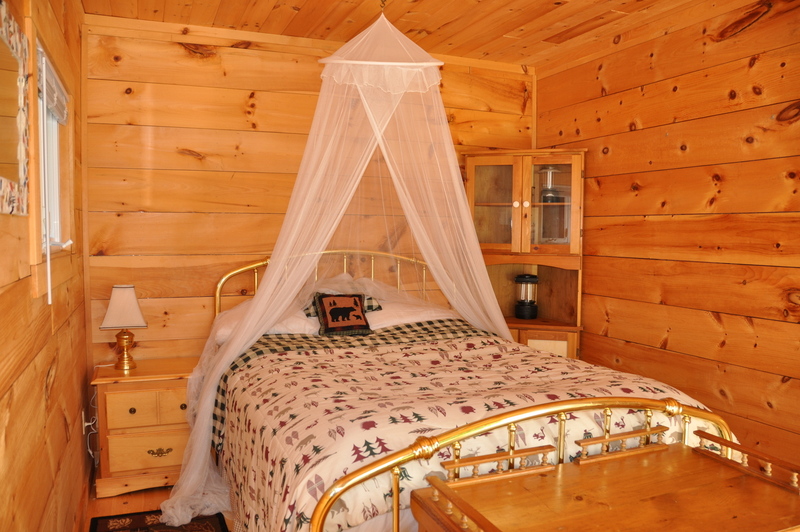 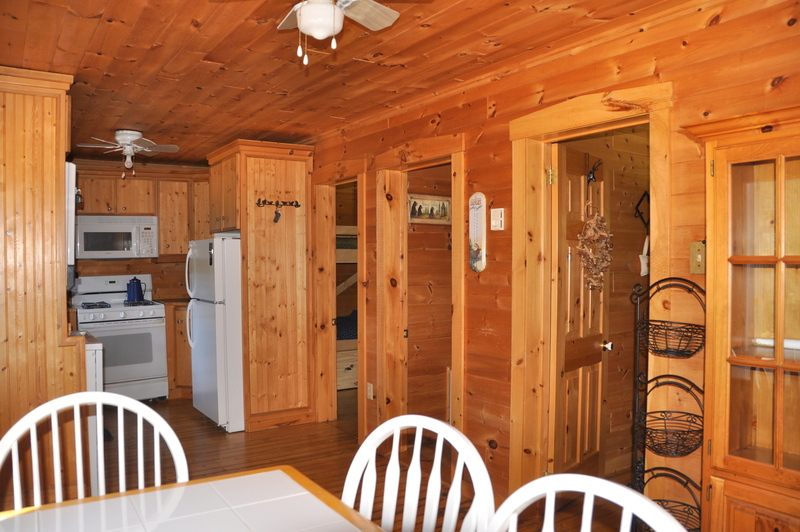 The interior of the cottage is warm and welcoming with gorgeous pine floors, walls and ceilings, tasteful and comfortable furnishings and ceiling fans throughout to keep you cool on warm summer days. 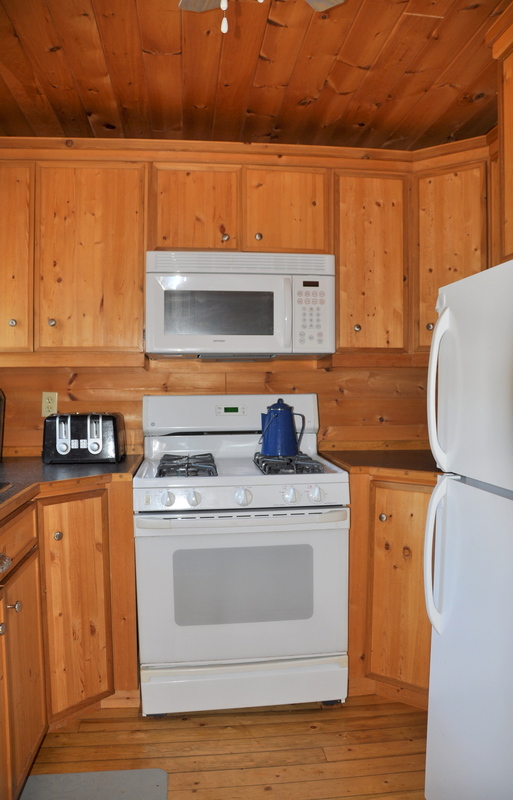 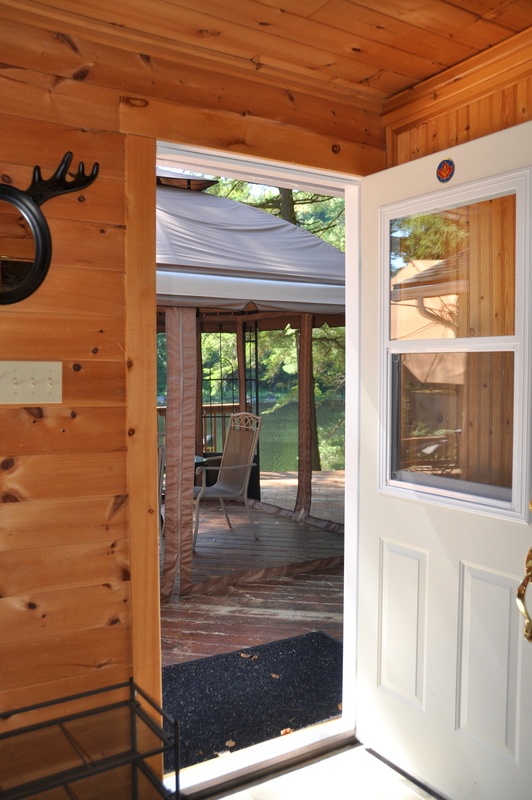 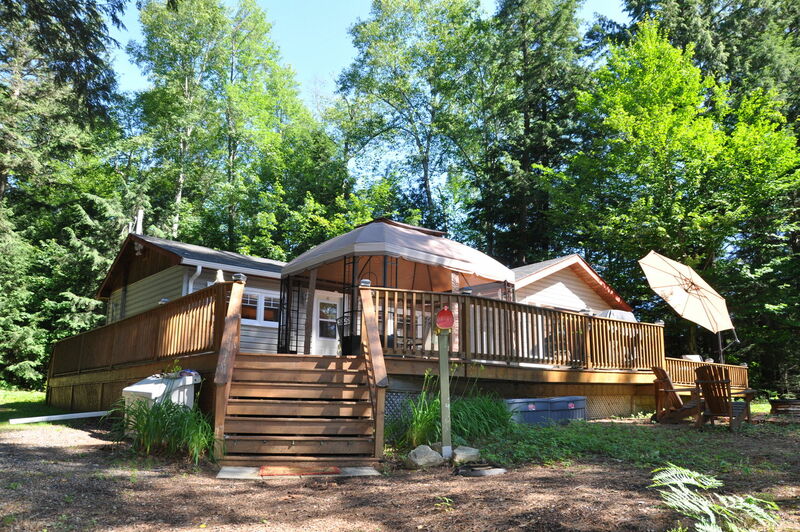 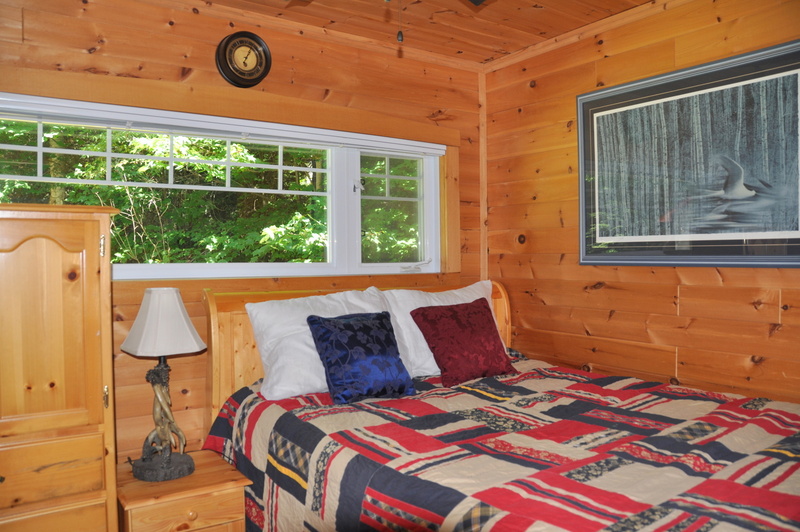 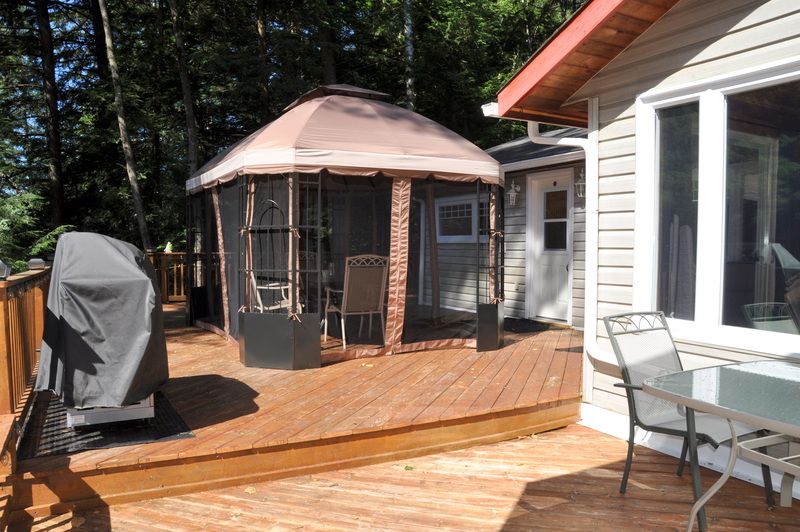 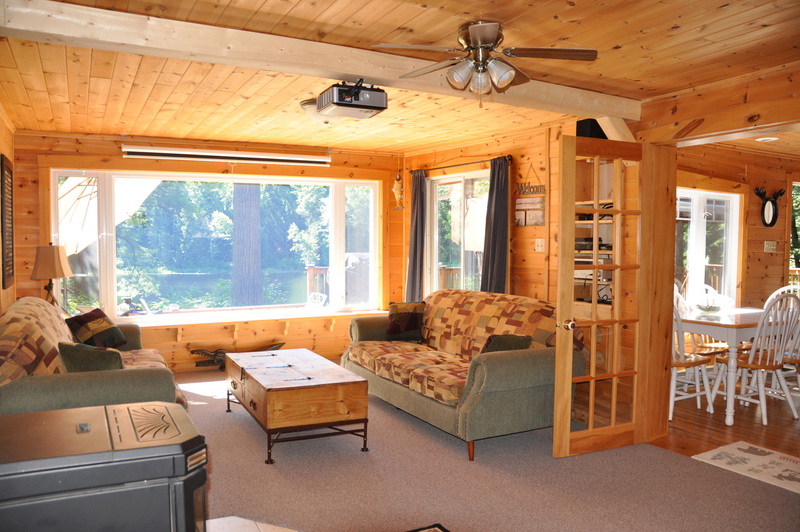 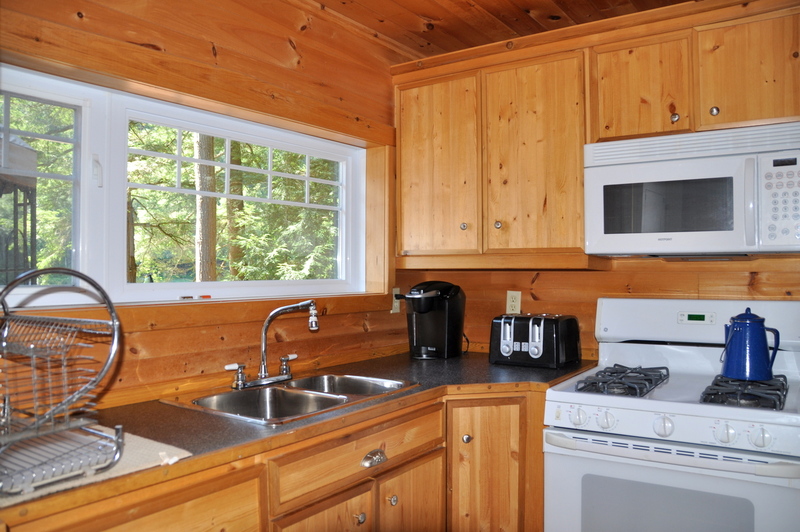 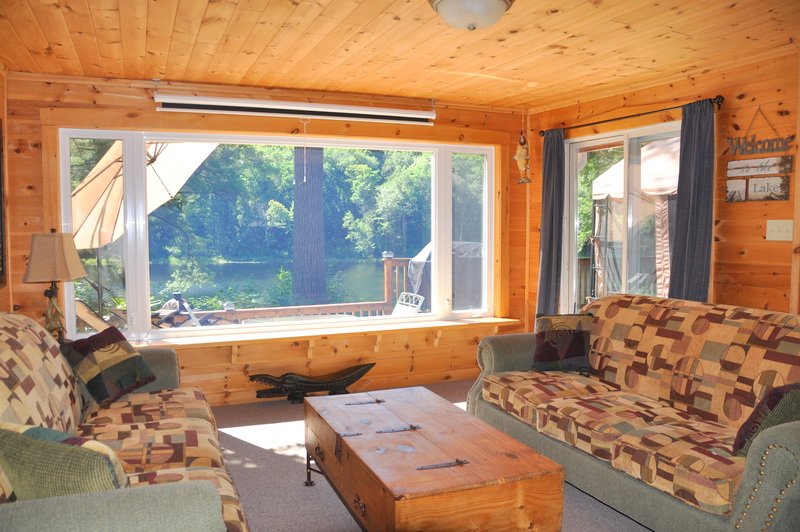 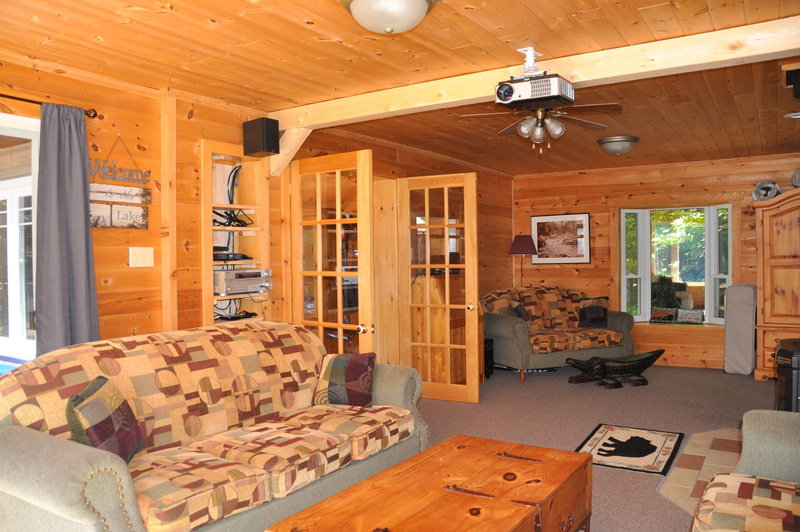 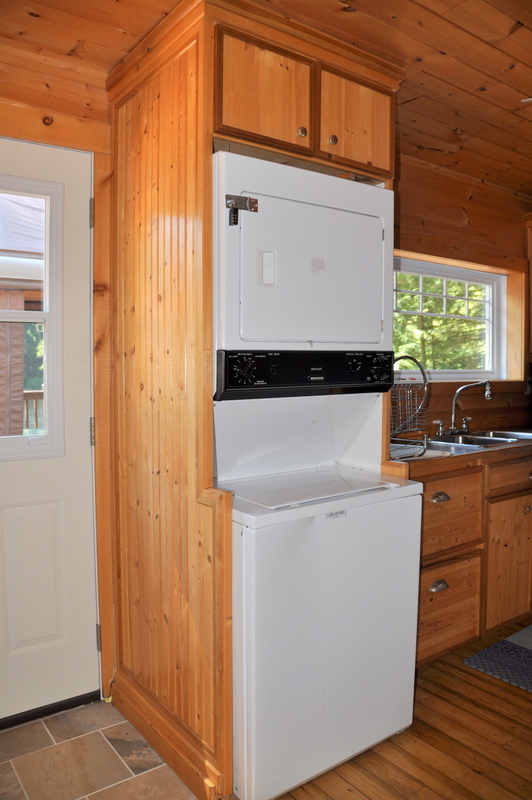 With great use of space, the 2 bedrooms are tucked into the back, where it is shaded, allowing for a comfortable nights sleep and the kitchen, dining and living room all face out to the deck with beautiful views out to the lake. 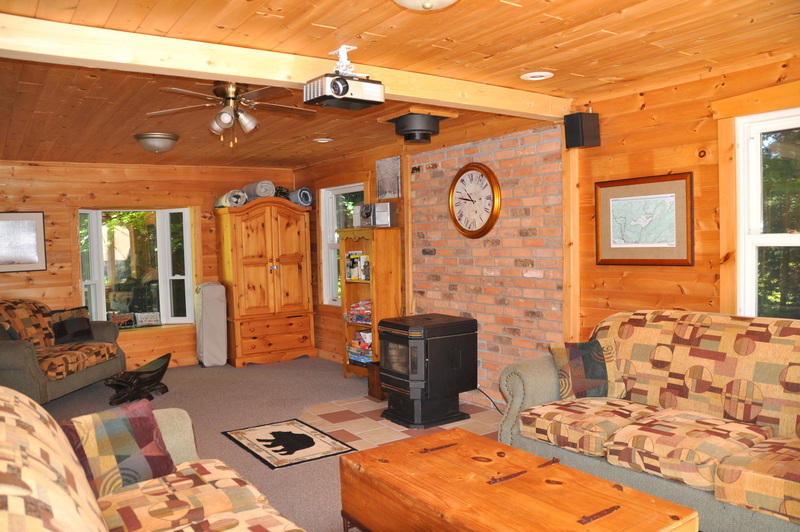 The living room is spacious with a wood stove to keep you warm on cooler summer and fall evenings and for your entertainment there is a projector and a large pull-down screen to watch your favourite movies on. 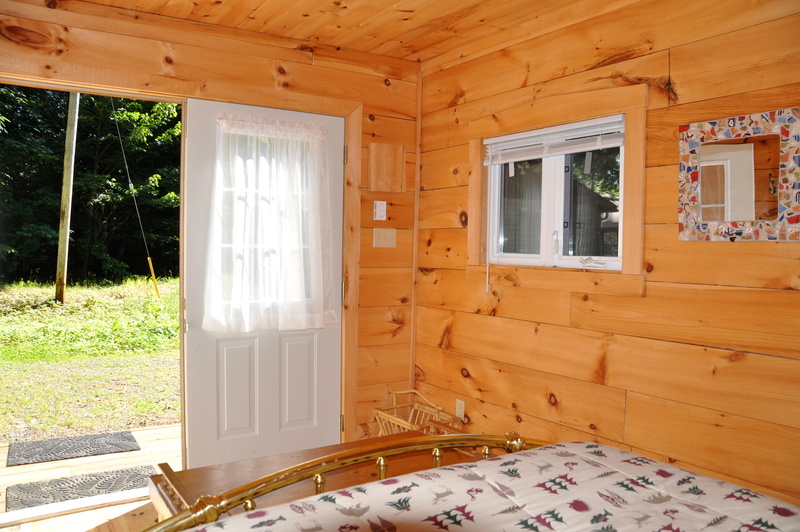 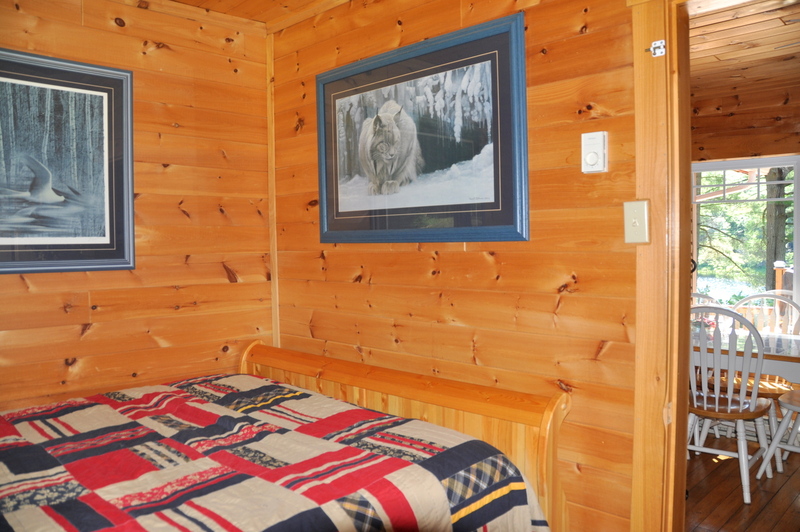 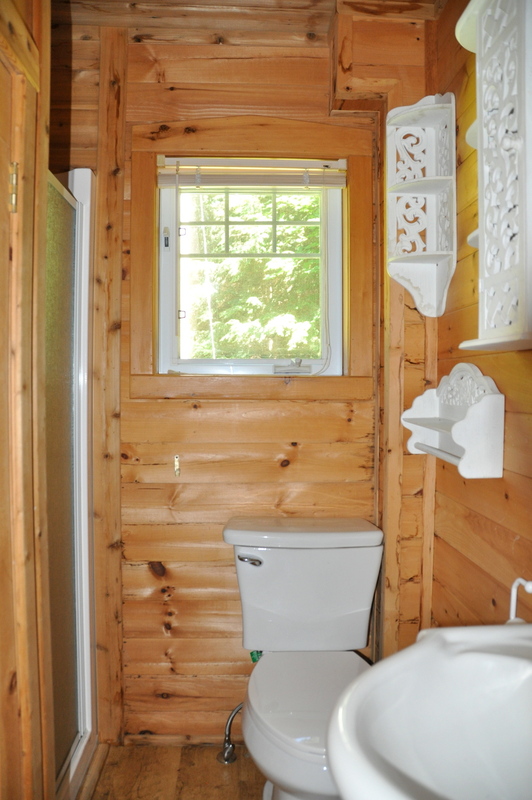 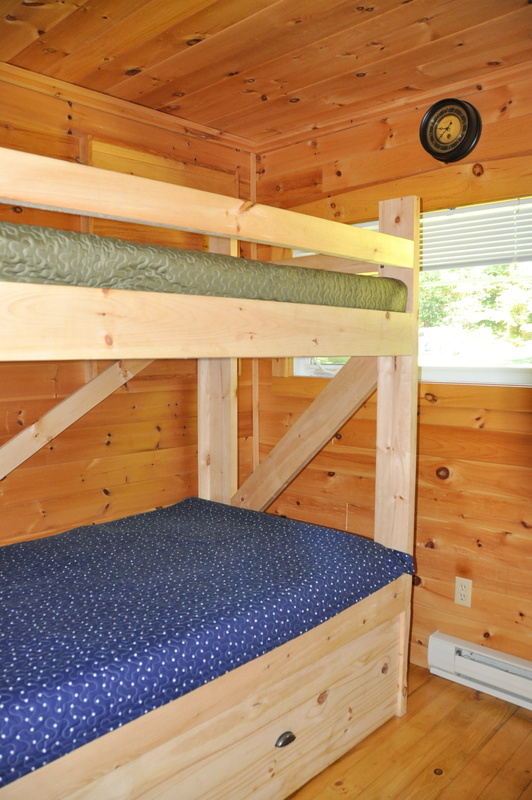 For a little more privacy, but close to the cottage, there is a newly built Bunkie with its own private deck. 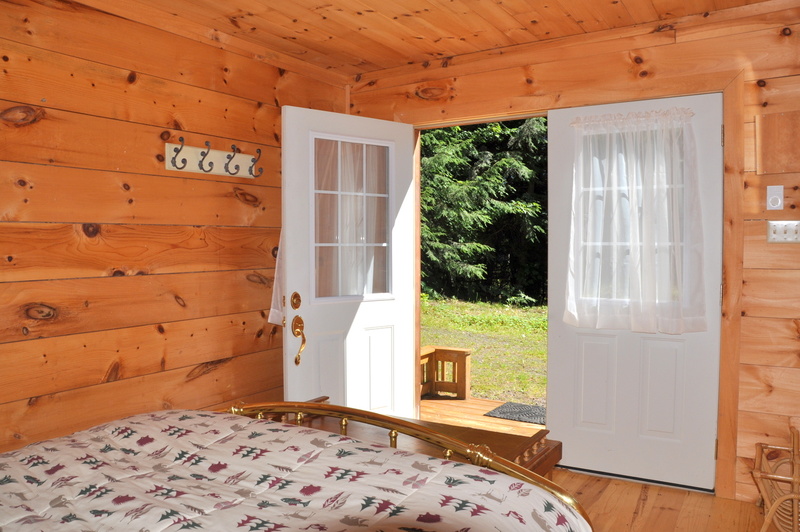 The great outdoors beckons with so much to do and so many places to retreat to. 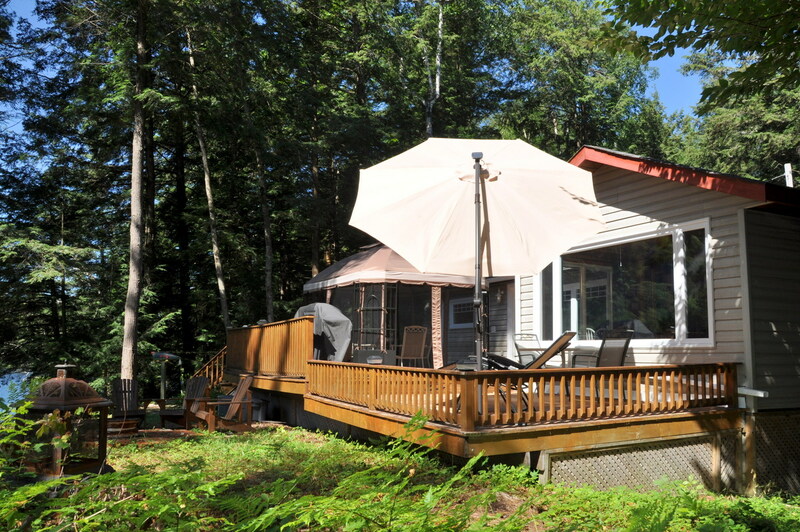 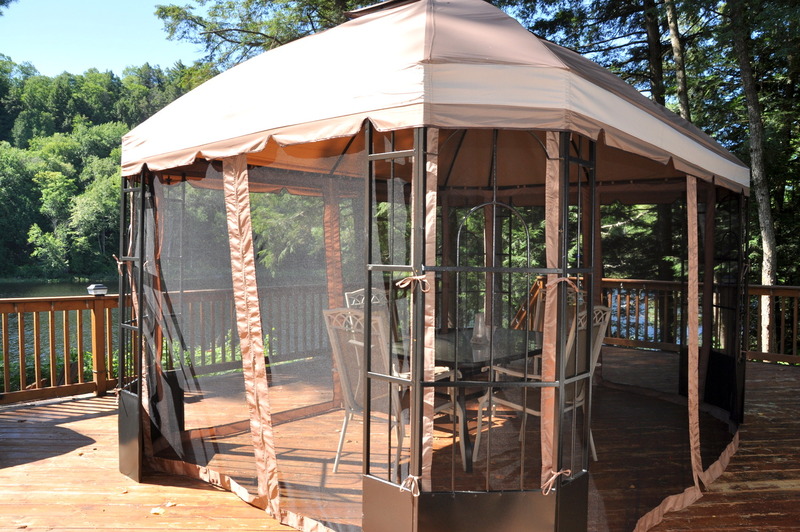 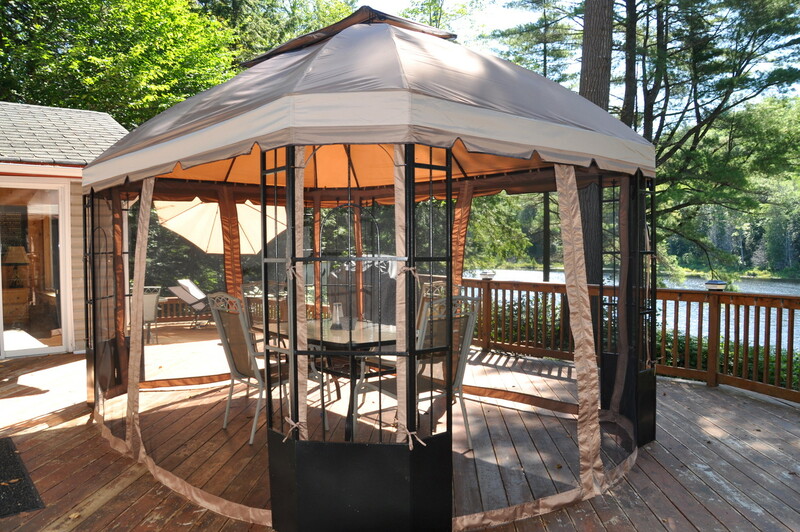 The expansive deck runs the full length of the cottage offering seating both in the sun and shade and a large screened-in gazebo for bug-free outdoor dining. 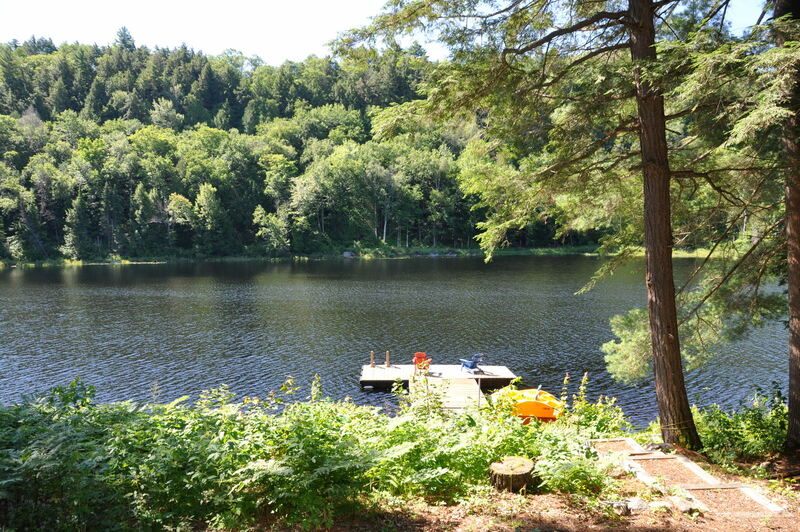 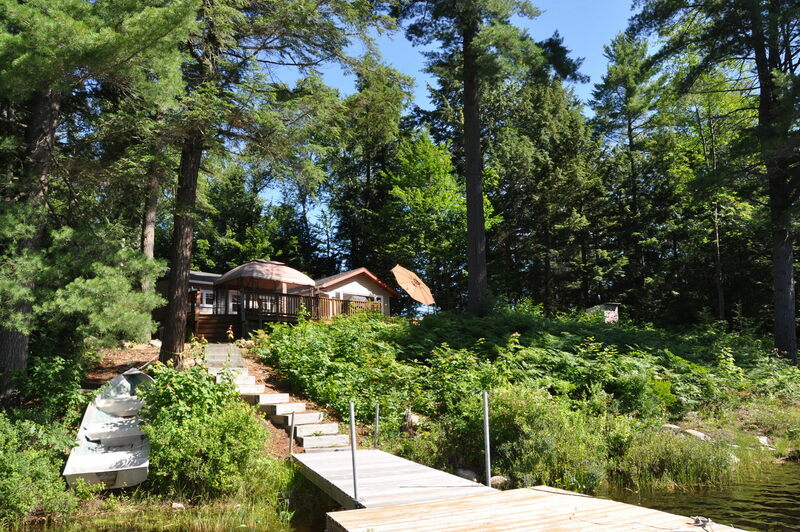 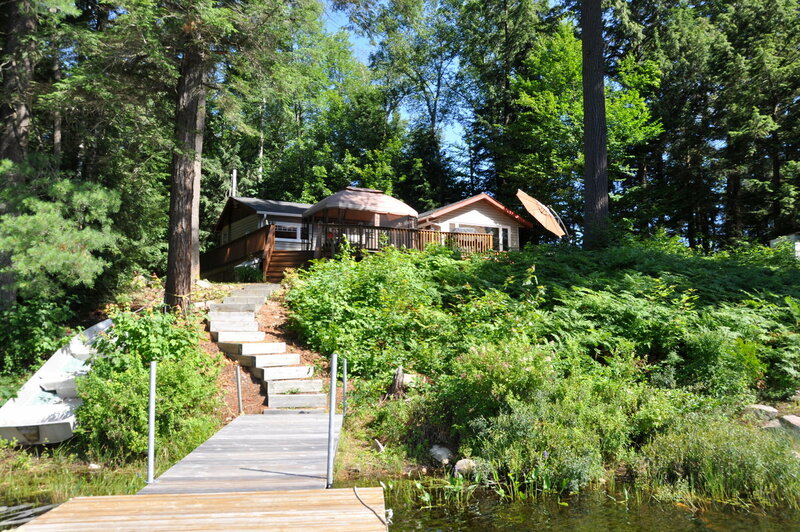 The generous sized dock, just a few gradual stairs from the cottage, has plenty of space for the whole family. 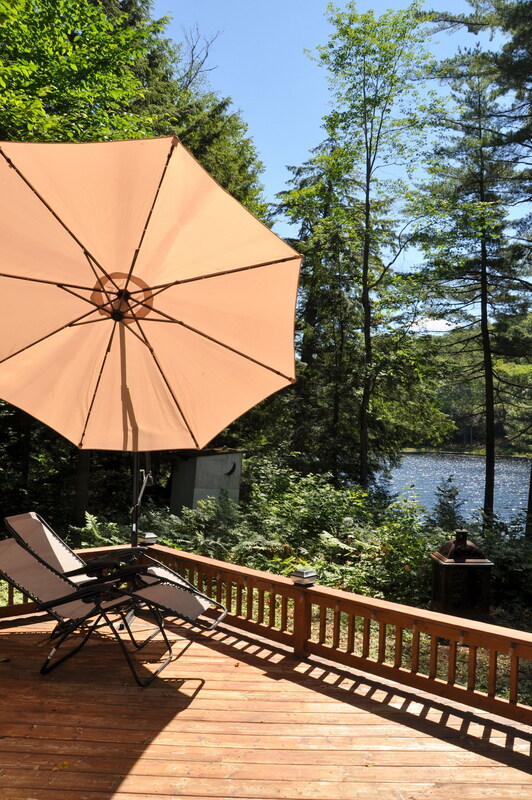 With sun on the dock all day long, relax, read and sunbathe for hours and when it gets too hot just plunge into the refreshing water. 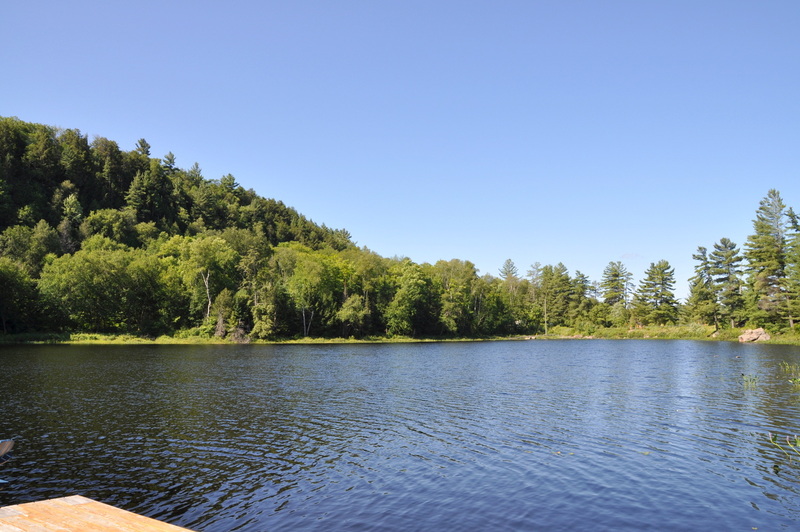 Enjoy tranquil early morning paddles and in the afternoon take the rowboat out and drop a line to fish in this well stocked lake. 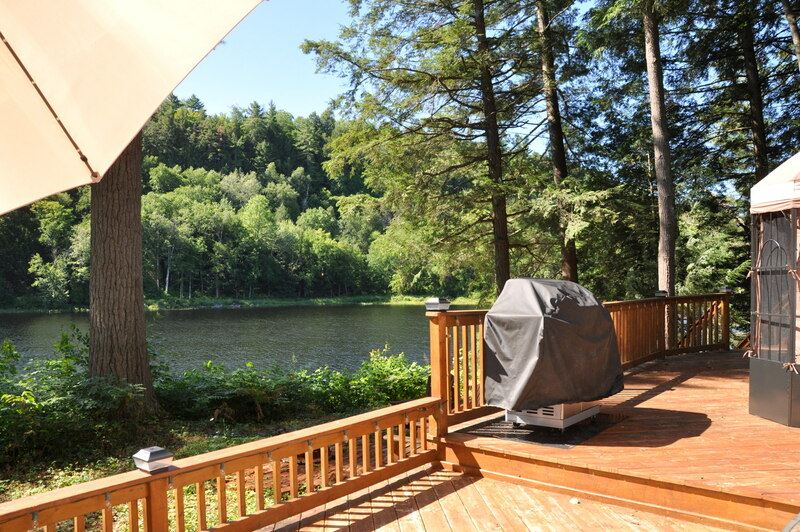 The only competition you may have will be the otters, geese and ducks that often make an appearance. 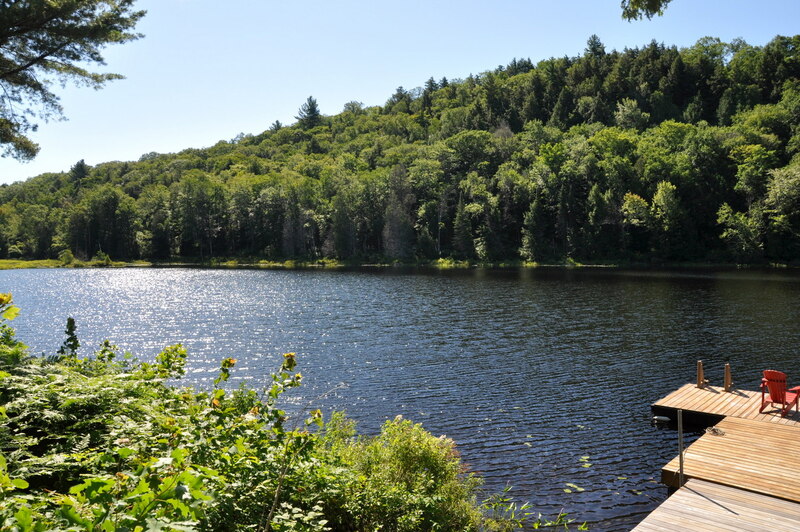 For the more adventurous there is great hiking across the lake on 7500 acres of crown land. 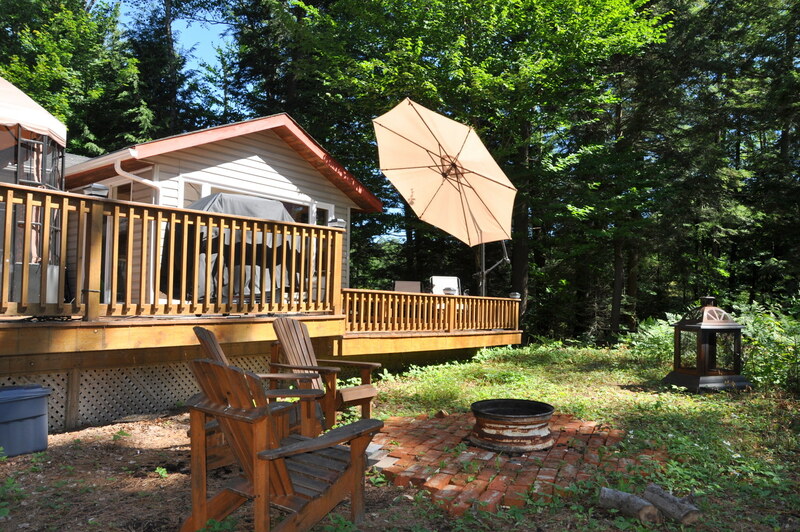 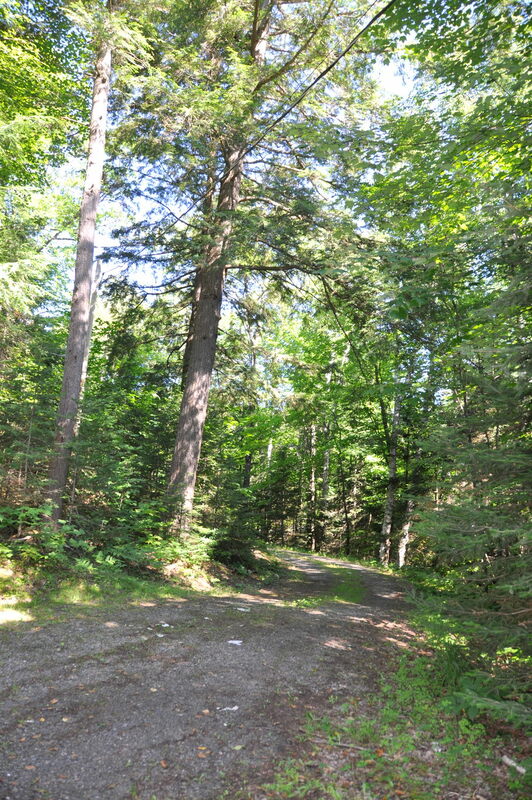 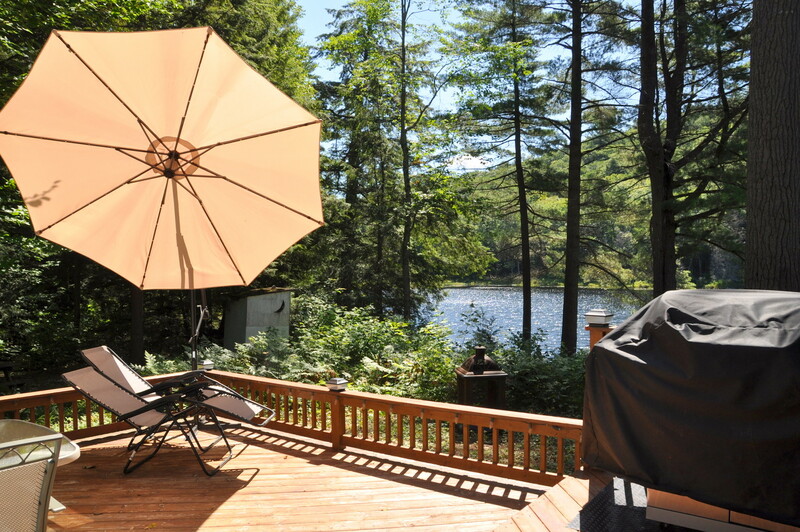 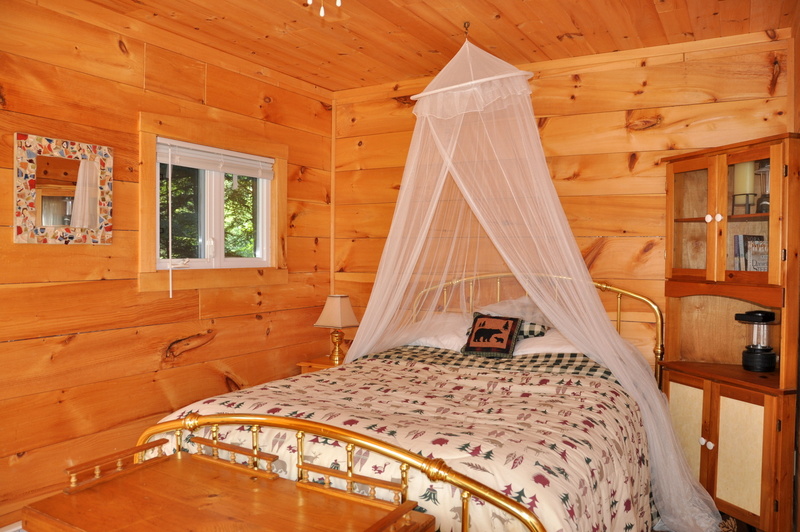 If you can tear yourself away from this serenity for a day trip, you are central to many local attractions including Algonquin Park, the historic town of Huntsville and you are just minutes away from the quaint village of Dorset. 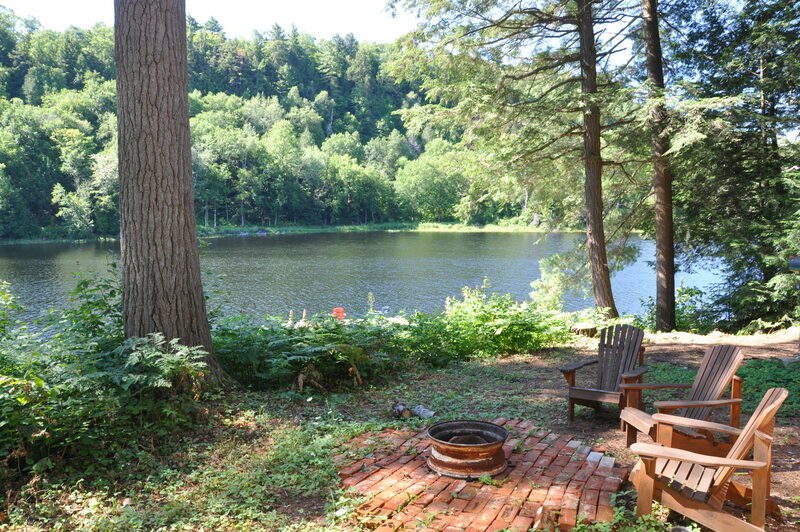 But no cottage evening is complete without a BBQ dinner on the deck and roasting marshmallows around the firepit, ending the day breathing in the sweetness of the wilderness that surrounds you. 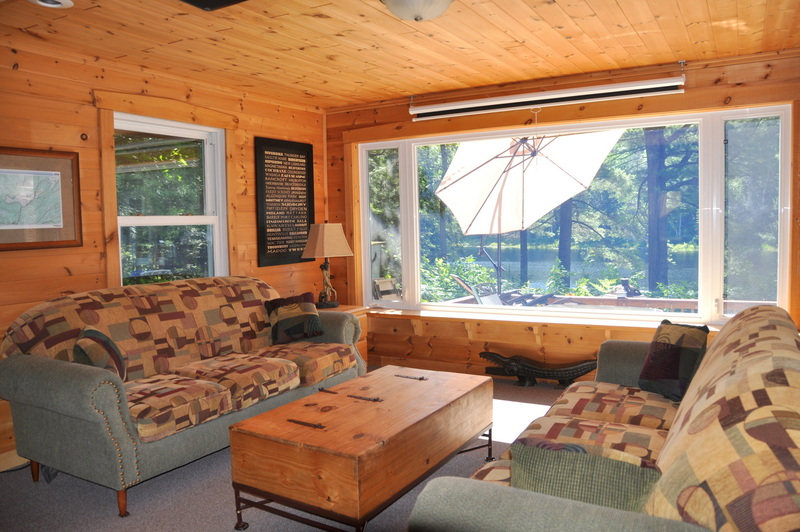 Pet upon approval of owner, no smoking, maximum number of occupants is 6, bring own linens and towels, bring own drinking water, noise restriction after 11 PM.